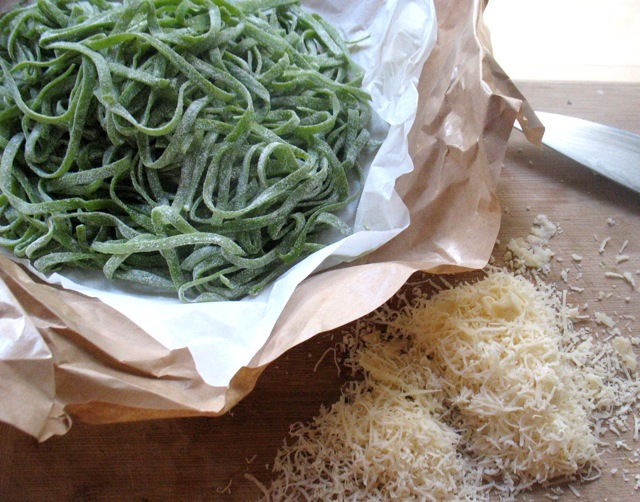 If you live in Portland, Oregon you can buy this fresh spinach pasta at Pastaworks/City Market. 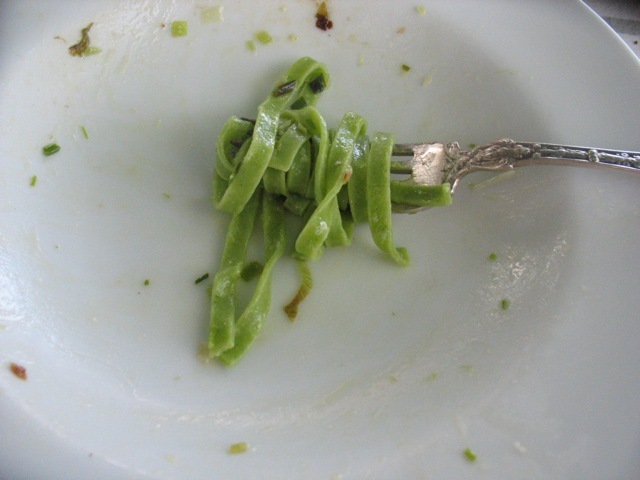 It's delicious, beautiful and incredibly inexpensive. I had eaten my whole serving save this bite when I remembered I wanted to take a photo. I'm warning you, this goes down very easily! 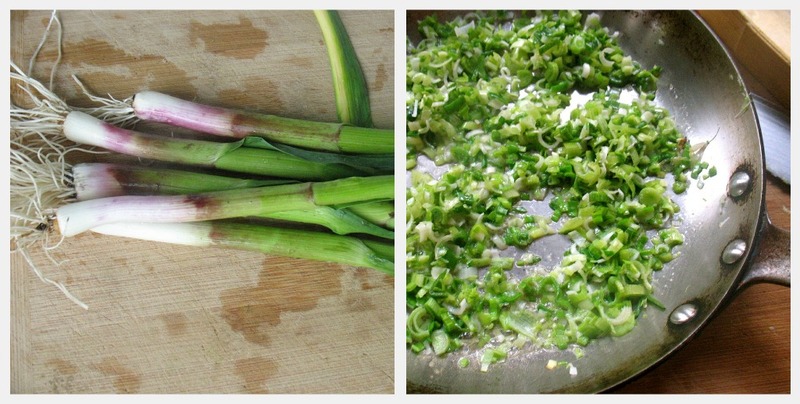 I cannot wait to make this.I have discovered beautiful, robust green garlic growing under the spot where I always clean my garlic for market in the summer. If only parmesan could be planted.